wow that was pretty cool! I really like the gears at the end. The cogs was really cool - I didn't expect all three to be rotating in perfect unison! Magical stuff... close call between ultra-slow motion stuff and that for what's most magical. Not really an optical illusion, "per se". This appears to be more of a technological example of using a special filter over a certain kind of print-out (where each frame of the animation is split into different thin vertical pieces, and revealed one by one when the filter is passed over it). Definite contenders for illusions of year. #4 I think these are taken from a book by Colin Ord. wow, a 2d 3d animation. pixar should be closed. The successive animation frames are encoded as parallel stripes and moving thin window over the picture selects one of them. It's simple trick - let's say animation has 20 frames: strips 0,20,40,60,.. make up first frame, strips 1,21,41,... second and so on. 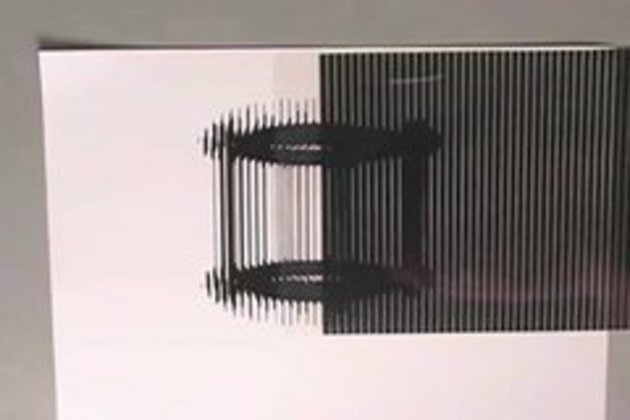 These illusions have been around for a while their not new but they are very very cool by far the best vid i have seen on snotr for ages..
nice vid. that is a special kind of a moiré pattern. Very cool like redneck xbox hehe. This video was taken from Youtube user brusspup. That's a shame, since by concealing the original author, it keeps us from finding his other vids where he gives instructions for making them.